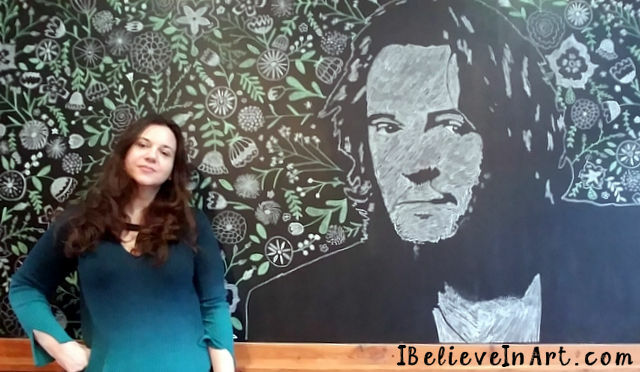 When we first installed the giant diy chalkboard in the living room, the plan was to create murals for every holiday or season. 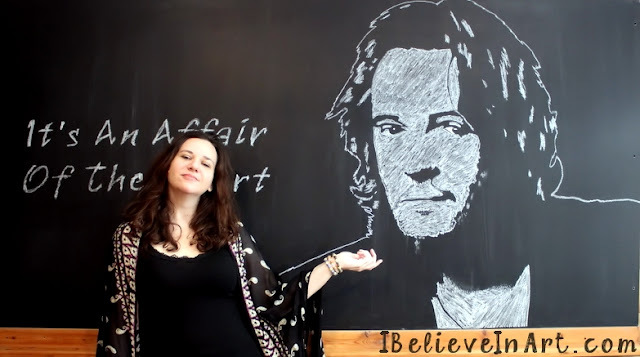 That proved difficult at first because creating murals on a giant chalkboard proved difficult. However, I slowly started to get the hang of it. 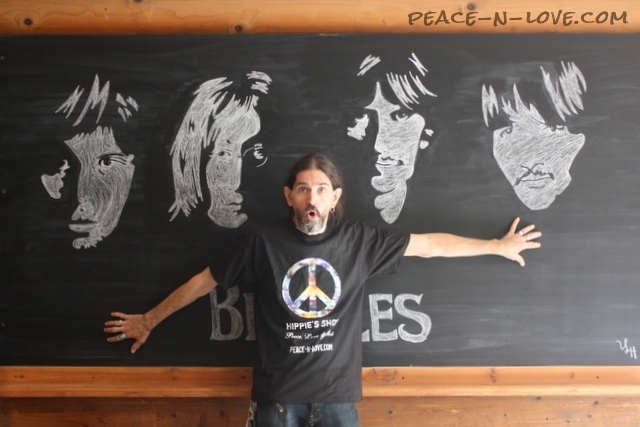 I was sad to see The Beatles Mural go too but I reminded myself that the purpose of creating the chalkboard was so I could have an ever changing display, so I did what I had to do. 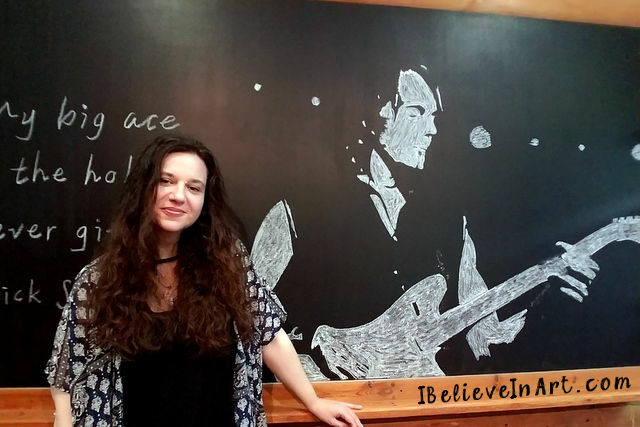 Then, around this time last year I created a mural in honor of the birthday of my favorite songwriter, performer and muse, Rick Springfield (click here to read that story). 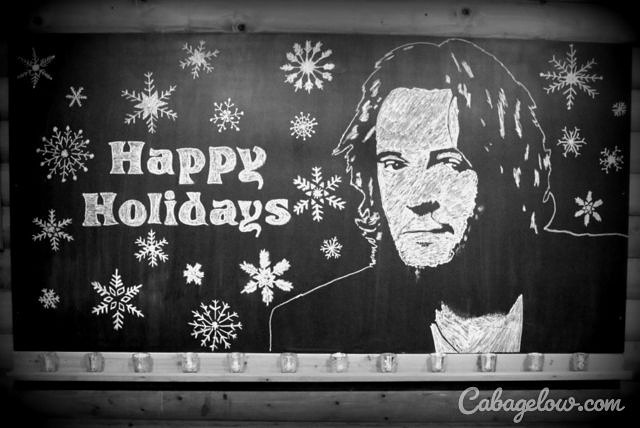 The plan was to enjoy that until Halloween and then replace it with something appropriate for that season but when the time came I found I just wasn't ready to part with Chalkboard Rick Springfield. I decided I would put it off until the winter holidays. I didn't even think of erasing this one until a couple days ago when I realized it has been almost a year since I created the original Rick Springfield Chalkboard Mural. Then it occurred to me that one of the things I admire about Rick is that he is always moving forward and doing new things. I knew it was time for a change. 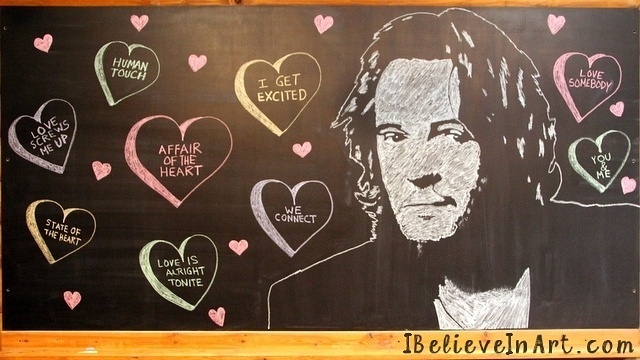 And replaced him with Guitar Playing Chalkboard Rick Springfield! Another one of many qualities I admire about the actual Rick Springfield is his persistence. There have been many times in my life I've wanted to give up but haven't because of the impact that the example of his life and work has had on me. 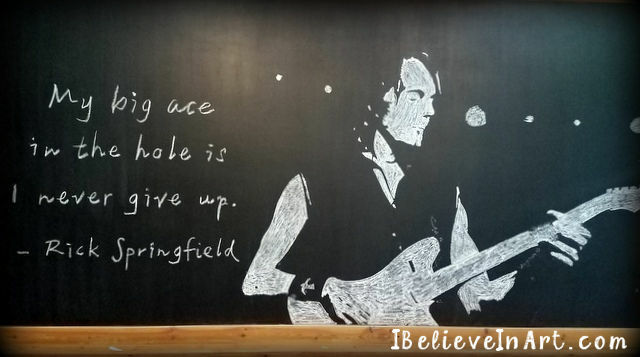 I decided to commemorate that in this mural by adding a quote from an interview he did for Rolling Stone Magazine a couple years ago. Now all I have to do is look at this mural to remind myself that I have the fortitude to keep going back to the drawing board, both literally and figuratively. Thank you so much for reading. 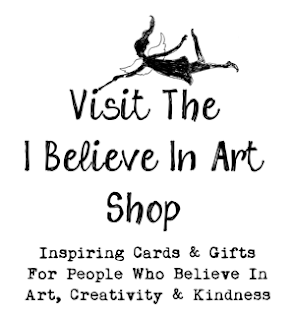 I'd love to read about who or what inspires you if you would like to share in the comments below. WOW! You are so amazing! I LOVE your voice! Great post!